The Low German expression Planten un Blomen means „plants and flowers“ - of which there are indeed several and also several different kinds in this park. The beautiful park with a size of about 45 hectar is situated right in the heart of the city centre at the ground of the former rampart and allows relaxation and nature in the urban jungle. Planten und Blomen – with individually designed gardens, serves all kind of visitors and needs. The Botanical Garden with the palm houses, the Rose Garden, the Japanese Garden with the tea pavilion and last but not least the large lawns with the comfortable white wooden chairs invite to linger and relax. For those who feel like walking around; the small pathes are laid out in a beautiful way, including also the waters, and form a path network that covers the whole area of Planten un Blomen. In summer, the big lake is venue for the famous and impressive water features, where the fountains are illumiated in different coulours. 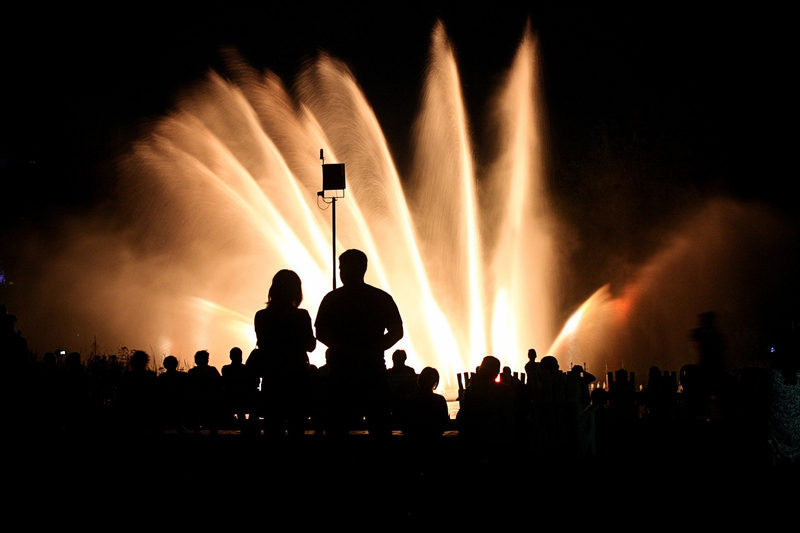 The trick fountains are accompanied by classical music and attract every evening plenty of visitors. On a tepid or also not so tepid (since we are in Hamburg) summer night, you will see people surge towards Planten un Blomen - all well equipped with a blanket, a bottle of wine and snacks – ready for an entertaining evning in the gardens. For the kids, or those who remain kids, there is a huge playground, in winter the ice area, as well as a diverse kids programme including theatre, circus and much more. *Plattdeutsch/plattdütsch is the language of Lower Saxony. It is still spoken by the native population in many places in the Emsland, especially in rural areas. 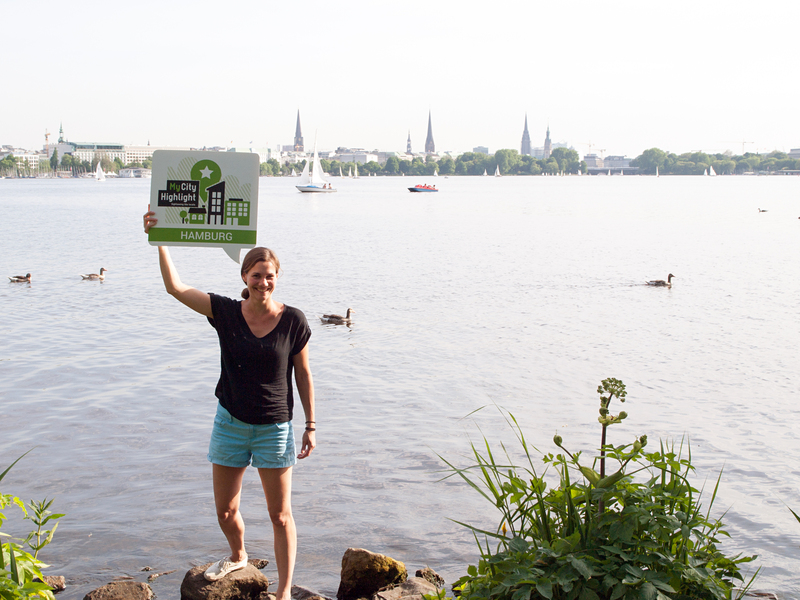 Von Mai bis Anfang Oktober finden hier jeden Abend ab 22 Uhr (ab September schon um 21 Uhr) die farbigen Wasserlichtspiele auf dem Parksee statt. Lasst euch verzaubern von einem Kunstwerk aus klassischer Musik, Licht und Wasser. Der Eintritt ist frei.